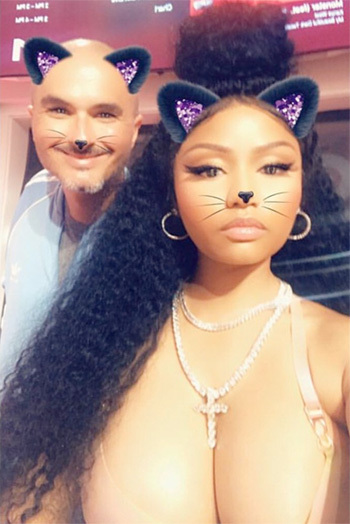 The footage of the full 1-hour interview between Nicki Minaj and Zane Lowe for Beats 1 Radio on Apple Music has now been released, which you can watch below. During their conversation, the Barbie discussed why she stepped away from social media, her forthcoming fourth studio album, changing her phone number, JAY Z, if she knew her “Monster” verse would be iconic, Drake always giving her advice, Cardi B, what went on with “Motor Sport“, Azealia Banks, Foxy Brown, Lil Wayne, and still being nervous to play her new music for Wayne because he is the “greatest rapper that ever lived”. 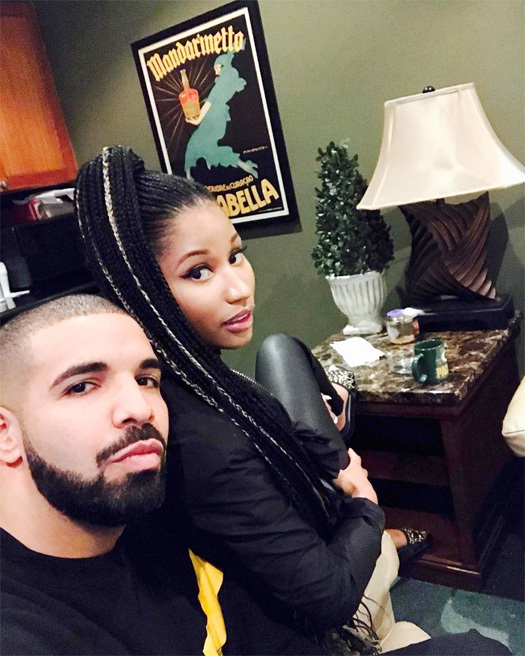 Before premiering her new singles “Barbie Tingz” and “Chun-Li“, Nicki also added that she is currently shooting a new documentary which will drop with her new album, being quiet during the Drizzy vs. Meek Mill beef, the Tunechi vs. Birdman situation, getting ready to go back on tour, and plenty more. Tune and Baby even called into the interview to speak all about Minaj! On Wednesday (April 4th), Nicki Minaj stepped out into the public eye for the first time in month’s since deciding to keep a low profile and off social media while she records her upcoming album. The Young Money Barbie was spotted arriving to Los Angeles International Airport in California as she was about to board a flight to Paris in France. As she was walking in LAX, TMZ asked Nicki what she thought about Birdman calling her the best female rapper ever. She stayed quiet, but put her thumb up in approval. You can check out some footage of this in a clip after the jump below! Last week, I posted up some photos of Nicki Minaj hosting “LIV on Sunday’s” for Memorial Day Weekend at LIV nightclub in Miami, Florida on May 28th. 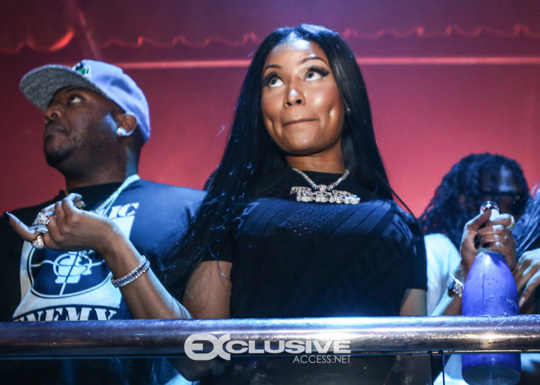 Now we can check out more pictures from the evening of Nicki at the club with Mack Maine and Birdman, courtesy of Thaddaeus Mcadams. Hit the jump to see the pics of the Young Money Barbie! Yesterday, Nicki Minaj hosted “LIV on Sunday’s” at LIV nightclub in Miami, Florida for Memorial Day Weekend. The Young Money Barbie was joined at the club by Mack Maine, Birdman, boxer Adrien Broner, Bobby V, Lil Scrappy, producer London On Da Track, and her best friend Candi. You can check out some photos and footage of Nicki at LIV in Miami after the jump below! Birdman and Slim revealed a top 20 list of Cash Money Records‘ biggest hits after their interview with Billboard. On the list, Drake made a total of 13 appearances with 9 of his own songs and the rest being features. He even has the #1 spot with “One Dance“. The 6 God‘s Young Money label-mate Nicki Minaj also appears on the list a total of 3 times with 2 entries being her own singles. You can check out the full list below! Forbes have revealed who the top 5 rappers are that have made their 2017 “Hip-Hop’s Wealthiest Artists” list and Drake is one of them. 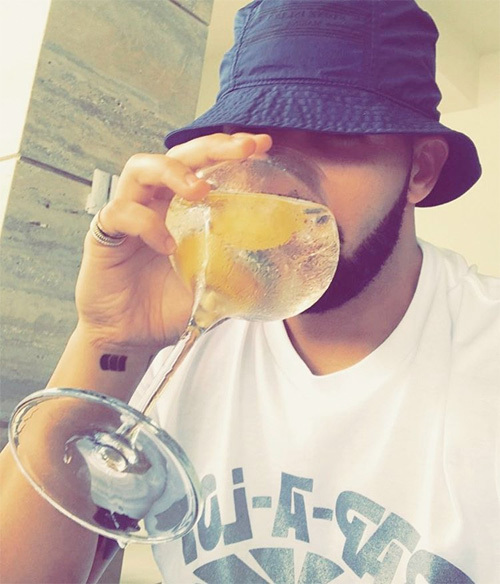 With a total of $90 million, Drizzy made the #5 spot on the list, which is calculated by “looking at past earnings, valuing current holdings, leafing through financial documents and talking to analysts, attorneys, managers, other industry players and even some of the moguls themselves to find the details”. Above the 6 God was Birdman in fourth place with $110 million, Dr. Dre in third place with $740 million, Jay Z in second place with $810 million, and Diddy in first place with $820 million! In a recent interview with Billboard, Bryan “Birdman” Williams and Ronald “Slim” Williams chatted about Young Money artists Nicki Minaj and Drake. The Cash Money Records founders recalled first meeting Nicki and Drizzy, how they compare to previous artists they’ve had on the roster, Minaj‘s beef with Remy Ma, and confirmed the Barbie is working on a new album. Hit the jump to see what Baby and Slim said in their interview. You can also read what they had to say about Lil Wayne and Tha Carter V here!